People are gathering at a house located on the narrow Khushal Khan road in Quetta. Large numbers of visitors and the narrow road has blocked the traffic. Located in the suburban Pashtunabad neighborhood of Quetta, the house belonged to Niaz Muhammad, a trader of clothing products. He frequently traveled out of Pakistan to import products for his business. On Friday morning, Niaz Muhammad, 55, along with his son Zahir Shah, 26, had their breakfast at a hotel in Karachi. Afterward, they left to the Clifton neighborhood of Karachi. They had a visa application appointment in Chinese consulate. Before the father and son could enter the consulate premises, it was attacked by three attackers with hand grenades and firing. The attack ended in the death of all three attackers, two policemen who were guarding the consulate and Niaz Muhammad and Zahir Shah. Meanwhile, in Quetta majority of the business establishment were closed on Friday. Habib ur Rehman, younger brother of Niaz who sells motor vehicles for a living, received a text message on WhatsApp that Chinese consulate in Karachi has been attacked. He immediately thought of his brother and nephew. 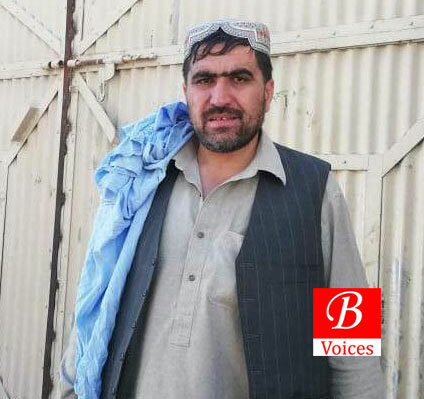 “I called on the cell numbers of my brother and nephew but no one attended them, this further increased my anxiety,” He told Balochistan Voices. He added that He asked one of his relatives in Karachi to visit the consulate and He confirmed that Niaz and Zahir both have lost their lives in the attack. Later Karachi police confirmed that both father and son died due to the hand grenades hurled by the attackers. 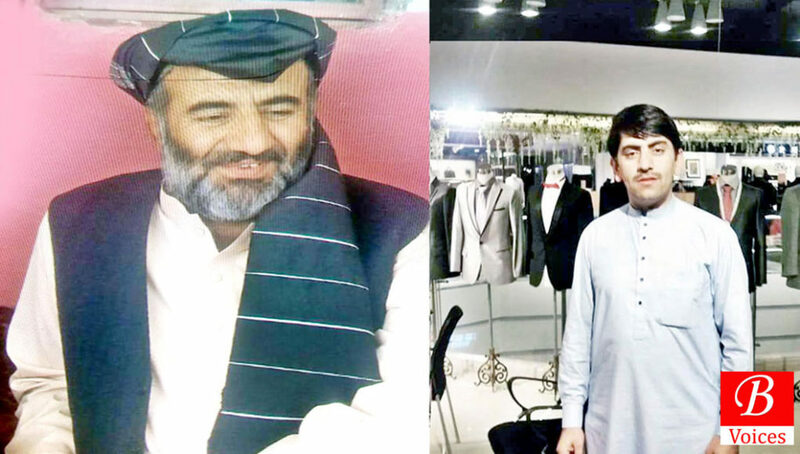 The family of Niaz is from Toba Achakzai, situated near the Afghanistan border. They have been living in Quetta for the last 60 years and trading is their family business. Niaz used to run a medium-size clothing trade business for the last 25 years. Niaz had four sons and seven daughters. Zahir Shah was the eldest son and was very close to his father. “Niaz and Zahir were very close to each other and we called them friends and not father and son at home”, recalls Rehman. Niaz wanted to groom his favorite son to one-day take over his business. “He [Niaz] had taken Zahir three times to China before and this was the fourth time,” said Rehman. “They lived together and died together, said Rehman while overwhelmed by the grief of the death of his brother and nephew. Abdul Rasheed, the neighbor of Niaz, is also a clothes trader. On Friday he left his home and found Rehman in distress. Later he was told that his neighbor has been killed in an attack in Karachi. “Niaz Muhammad was a very helpful person and He always ensured that all disputes among the neighbors are amicably resolved,” recalls Rasheed. Dawood Shah, 16, is the second eldest surviving son of Niaz. It was very hard for him to believe that the Karachi attack snatched the lives of his father and brother. 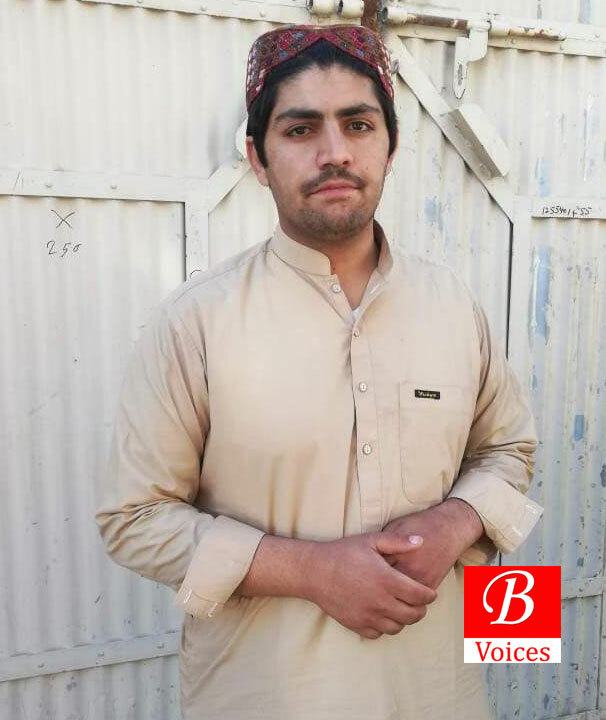 “I don’t know who killed my father and elder brother, but this incident is a huge setback for our entire family,” He told Balochistan Voices. 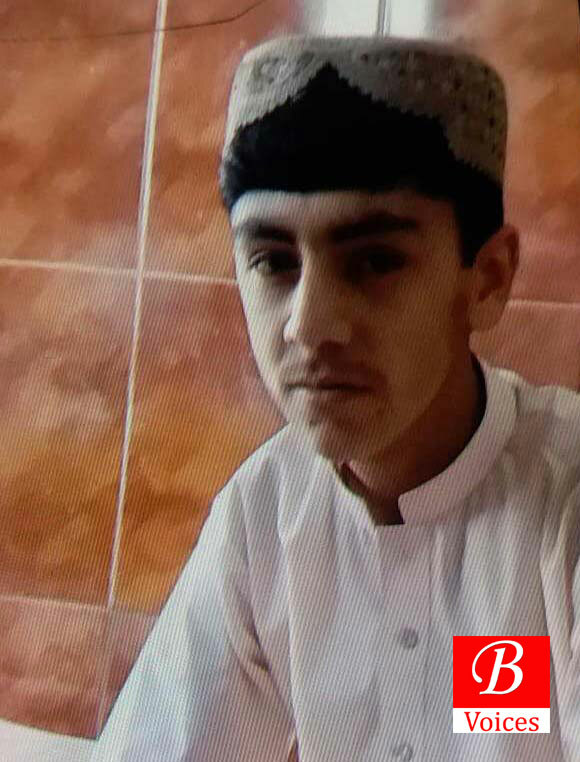 Ehsanullah, 14, is also surviving son of Niaz. He says that although the environment of their house is business-oriented, His father wanted him to further his studies. Clearly, Niaz wanted his son Zahir Shah to take over his business and wanted the younger sons to study and adopt other professions. Relatives of Niaz waited of more than 10 hours to receive his and Zahir’s dead body. All the arrangements of bringing the bodies of the father and son were made privately by the relatives of Niaz. “Chhipa and other charity ambulances services also did not come for our help,” claimed Dawood. Abdul Bari Achakzai, a tribal leader, criticized Sindh and Balochistan’s government for ignoring Niaz and Zahir. “They [Niaz and Zahir] were also Pakistani citizens but the government did not treat them as the other victims of the attack,” He lamented. Saleem Khosa, Home Minister of Balochistan, claimed in a press conference that the family of Niaz did not contact Balochistan government for assistance to bring dead bodies. “If they had contacted government then we would have provided them full help,” he claimed. Khosa, who visited the home of Niaz, said that the family of the victims would be provided all possible help. Danish Murad also contributed to this report. Ibrar Ahmed is a journalist based in Quetta.